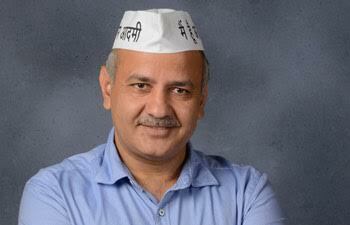 New Delhi: The AAP government will set up around 100 dental clinics across Delhi on the lines of mohalla clinics, Deputy Chief Minister Manish Sisodia said. Inaugurating the ‘Dental Health Utsav’ organised by Maulana Azad Institute of Dental Sciences (MAIDS) here, Sisodia said the project is being implemented as part of the government’s efforts to enhance medical infrastructure in the national capital. “It is necessary to initiate awareness drives and render appropriate and timely dental care. The efforts should be to target mainly school children so that they develop positive dental health attitude. There is an urgent need to bring oral health to the schools and train children to maintain oral hygiene,” Sisodia said as he released the “Annual Year Book” of MAIDS on the occasion. “Besides the proposed dental clinics, there have been deliberations with the government to set up five branches of MAIDS to cater to the people of Delhi,” Verma said. The Delhi government’s ‘mohalla clinics’ scheme which aims to provide better primary care coverage has been appreciated by leading global medical journal, ‘The Lancet’. The Dental Health Utsav ‘Delhi Smiles – 2016’ which aims to create much-needed awareness for dental healthcare will continue till December 18. The four-day-long event will comprise of free dental check ups, dental health awareness through novel exhibits and lectures. The theme of this year’s event is “Wholesome Nutrition Healthy Teeth” mainly displayed with innovative exhibits and demonstrations is open for public display. This mega community initiative attracts more than 10,000 visitors every year and the theme, this year, is “Wholesome Nutrition Healthy Teeth”, mainly displayed with innovative exhibits and demonstrations is open for public display.